Slice Intelligence analyzes emailed receipts to estimate how many of a specific item have been sold. While the market research firm's technique is proprietary, it provided information to Reuters estimating that 2.79 million Apple Watches have been sold so far. That may add a nice bit of change to Apple's bottom line, but sales of accessory bands may be far more profitable. So far, Slice estimates that 17 percent of Apple Watch owners have purchased at least one more band for their device. Slice's chief data officer Kanishka Agarwal noted that while the black sport band is the most popular band purchased with the device and as an accessory, the $149 Milanese loop band is the second most popular. That means that many Watch purchasers might be using the sport band for practical day-to-day wear, but buying the luxury band to wear for special occasions. Bands are an accessory that may provide heftier profit margins than the Watch itself. Technology research firm IHS estimated that the sports band -- which retails for $49 -- costs just about $2.05 to make. Apple CEO Tim Cook has scoffed at IHS's previous estimates, saying that a simple bill of materials doesn't show a true picture of costs. 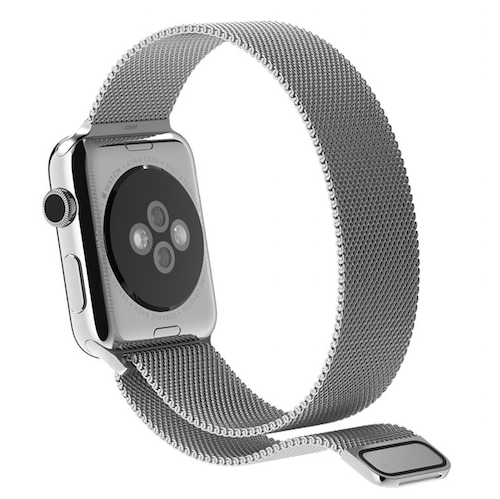 But the bands are likely to be a popular and profitable accessory line for Apple and for third party manufacturers. Our take on the news: While the numbers provided by Slice may be questionable, Apple Watch sales appear to be doing quite well so far. Between sales of the Watch and accessories, Apple may have another impressive cash generator on its hands.